The Republic of Ireland is the westernmost land in Europe, and was the starting point for waves of emigration to the States in the 19th century. It’s a far happier country now, confident of its future and proud of its past. The capital, Dublin, is a vibrant city with great shops and restaurants, and hundreds of magnificent pubs, many of which have traditional live music most nights of the week. And a real Irish knees-up is an unforgettable experience! As is a pint of Guinness high above the world-famous factory/museum. You may well know people here, so you’ll also know how important keeping in touch with them is on those special days. And, to make them even more special, why not send gifts to Ireland? We’ve got a great range of ideas that are perfect for any occasion. 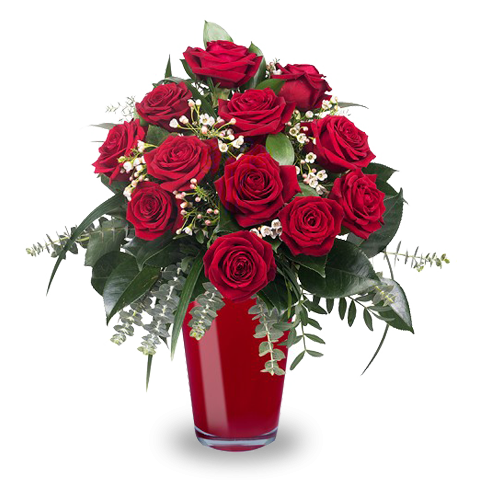 Celebrate in style with FloraQueen and send gifts to Ireland! The Republic of Ireland is a delightful country. While many people focus their attentions on the capital, Dublin, it is perhaps out in the countryside where the real Emerald Isle is to be found. And it’s not called Emerald for nothing! Every shade of green you could possibly imagine is there in the fields that march across the country towards the Atlantic. And, when they meet it, in a crash of waves and foam, some of Europe’s highest cliffs form an impregnable wall and offer breath-taking views across the island-dotted sea. The Irish are famous for their friendly nature; it’s so easy to make friends here that you’ll want to celebrate their special days with them. That’s why we’ve got such a great choice for when you next want to send gift baskets to Ireland. And, at Christmas, do it in style with our range of ideas for sending holiday gifts to Ireland.